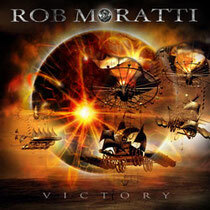 Album VICTORY by ROB MORATTI will be released from Escape Music on June 24, 2011. It includes 11 tracks. Reb Beach - Lead Guitars (Winger / Whitesnake).